It is 1942 in Malta and people are dying. Most die due to air raids, casualties of war but some die a more sinister death. Local prostitutes were disappearing and turning up dead seemingly due to accidents or other war related injuries. But Max knew things were not as they seemed. In pursuing a killer, what he found instead was a cold, emotionless psychopath who's only taste of emotion was the fear and pain he inflicted on his victims. I bought this book as an impulse buy. One of the books that I would buy without knowing the author but because something in the blurb caught my eye. In this case, it was the parallel to the story of Jack the Ripper. 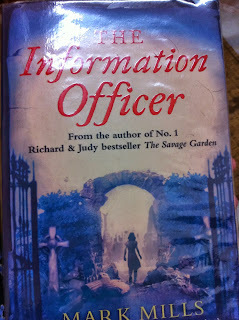 I was however, disappointed in this book, mostly due to its slow pace. It had every chance of being a good book, a good plot, a sinister villain, a charming hero but there was so much of the war to wade through that the story got lost under the rubble. Instead of serving as an interesting backdrop to the story, the war actually became a hindrance to the overall plot, preventing me from making any connections with the characters or even fully immersing myself in the book. I speed read and skipped many pages simply to sustain my interest. 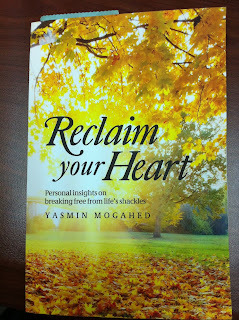 This book is a compilation of Yasmin Mogahed's thoughts and insights on her journey towards reclaiming her heart. I have always shied away from non-fiction, especially self-help/motivational books. 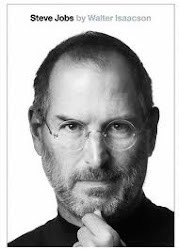 Finding most of the supposed "pearls of wisdom" between the pages too simplistic and at times unrealistic, I developed a wary distaste for successful "know-it-all" strangers that were determined to make me happier, richer or more motivated. This book, however, was different. I had been following Yasmin's Facebook and Twitter, and her honest, simple reflections on life often struck a chord with me. So I decided to give this book a chance. And Alhamdulillah, I am glad I did. She manages to inspire, soothe and evoke strong emotions in one fell swoop. Her musings are simple and very relatable. Her problems were my problems, her questions were my questions too. Above all this, the answers that she offered were not her own. The answers, were what we have already been told in the Quran and hadith. 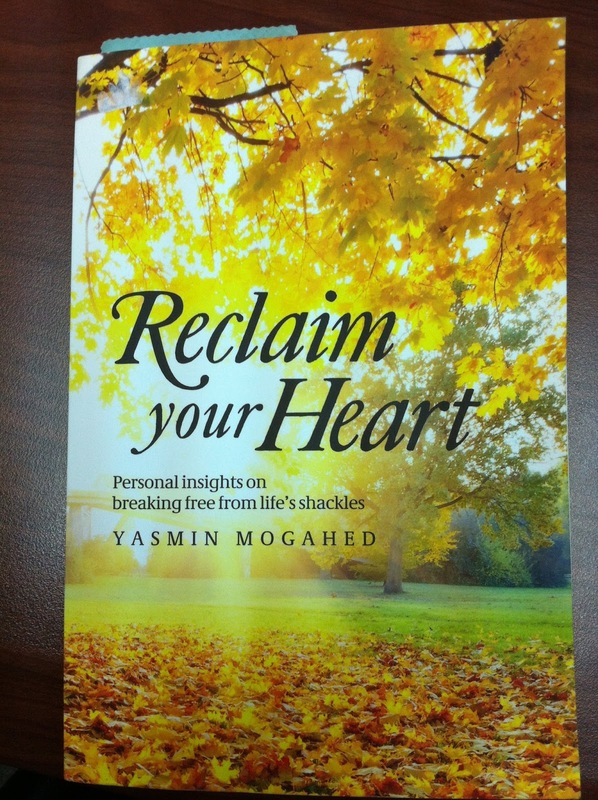 What Yasmin does best is give words to our internal worries, conflicts, fears, even the ones we never knew we had and reminds us of what Allah has already prescribed the solution for us. Like a friendly traffic policewoman redirecting the congestion of thoughts and unease that we are experiencing, she waves us on our way in the right direction, to reach our final goal. To be closer to our Creator. Once in a while, people enter your life that you love- not for what they give you- but for what they are. Killing her mother was easy, what happened after that was harder. Helen's love-hate relationship with her mother Clair had finally reached this moment, a towel pressed over her mother's nose and mouth. How did it come to that? In the moments after the fact, Helen struggles to answer that very question. Firstly, with an opening sentence like " When all is said and done, killing my mother came easily. ", I had great expectations of the book. 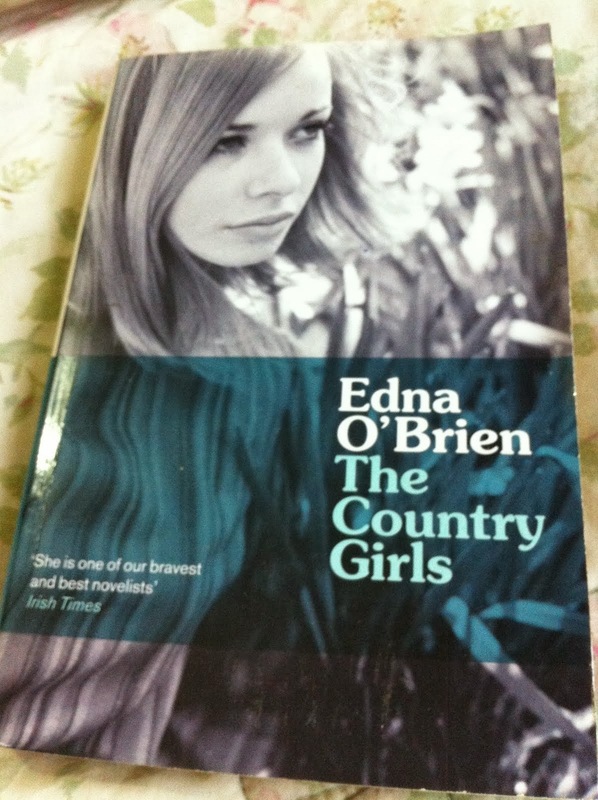 Coupled with the fact that I had quite enjoyed the other book The Lovely Bones. However, beyond that opening sentence, I was sorely disappointed. 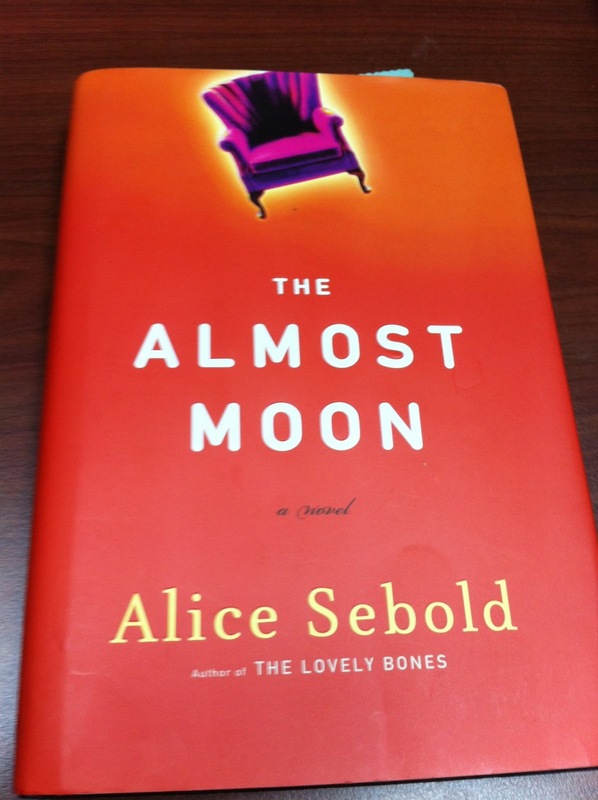 As the book struggled to abstractly paint a picture of how someone could be so permanently damaged by hating and loving the person that brought her into this world, I found myself unable to identify with the main character or any of the characters in the book. Although the mother's condition (she had agoraphobia and dementia) was explained well and in detail, the mental suffering she must have endured did not translate well across the pages. Helen's difficult childhood, growing up with a sick mother and a weak father also felt like a well construed farce, instead of the reality that left her scarred enough to commit murder. Her actions after the deed, though obviously intended to show her fragile state of mind and confusion also felt very unnatural and forced. 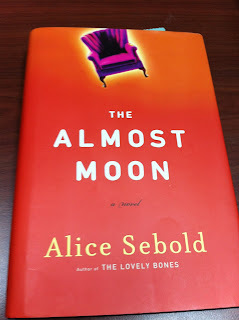 In the end, it felt as if this was a story, that had every ingredient and opportunity to shock, enthrall and evoke powerful emotions on the true meaning of the sacred bond between mother and daughter and yet somehow fell very short of the mark. All of them are gone except for me; and for me nothing is gone. A bank robbery gone wrong? Or is it? When a seemingly professional bank heist ends with one of the robbers getting shot, it is up to the group's mastermind to ensure that everything goes to plan. A battle of wits between the dedicated Inspector Paul and a most unlikely ringleader ensues. Everyone has a motive but some have more than most when revenge is at stake. 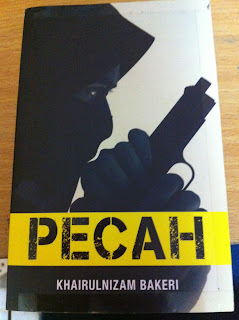 Firstly, this is the SECOND Malay book I've read in my whole adult life. I would not classify myself as a book snob, just that circumstances of my childhood have sadly resulted in a situation where although I am fluent in my mother tongue, I am unable to appreciate the subtle nuances of the language (a situation I am desperate to rectify). For me reading in Malay is an uphill task of swimming through words that refuse to form images in my head. They remain stubbornly, as words on paper. A very dear friend suggested I watch the movie adaptation of this book because he claimed that the book was amazing. After watching the movie, I was puzzled because, I didn't enjoy it. My friend, who was severely disappointed in the movie too, was adamant that the book was a lot better and lent it to me in order to prove his point. I have to agree with him. The movie did not do the book justice. I have to confess, it took a bit of effort on my part to persevere an finish this book but it was not at all as hard as I imagined. Firstly, the plot is gripping and well-stuctured with layers and depth. Things are never as straightforward as the reader initially thinks. The flashbacks were done well, adding to the story, explaining without interrupting the flow of the storyline. The style of writing was laid-back, easy to understand (though there were so many words I had never heard of before), informal without descending to bad grammar. It was most surprising to see how action scenes and even "bedroom" scenes were so well described giving pace and subtlety without being vulgar or crude. The star of the book was the dialogue, it was so natural. People in this book actually talked like normal people! A quality very much lacking in the few Malay dramas or movies that I have seen. The author also incorporated familiar everyday references and pop culture, making the story relatable and current. So, all in all, it was a very good read. If all Malay books are like this, I cannot wait to read the next one. Aku sangka kau sudah puas musnahkan hidupku. Nyata aku silap.